I’ve been going a hundred miles per minute since federal legislation for the Yakima River Basin Water Enhancement Project passed Congress on Feb 26. The public lands package was signed into law on March 12. And the very next day, the Yakima Basin Integrated Plan work group met in Ellensburg for its regular meeting. Going home from the meeting, I took the Yakima River Canyon Road back to Yakima. On my drive along that beautiful highway, I felt an overwhelming desire to reflect on this significant legislative accomplishment. 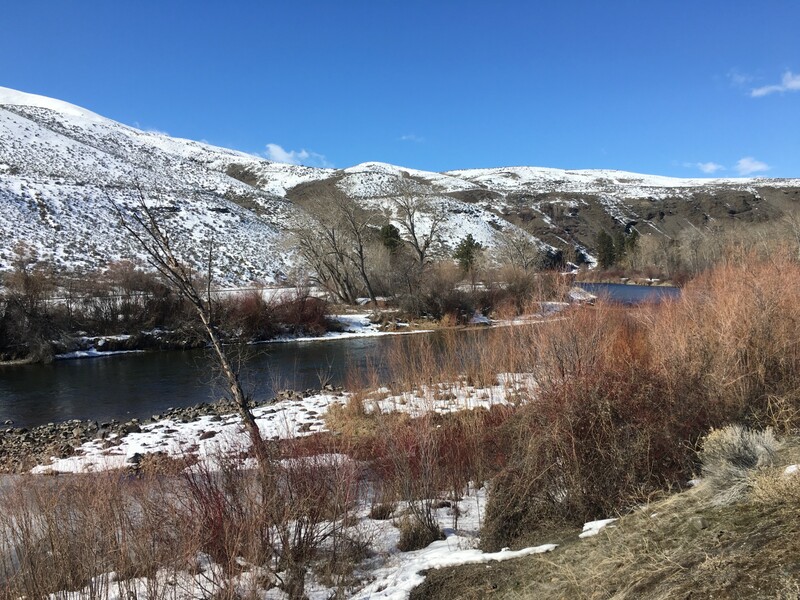 Stopping at one of the Bureau of Land Management recreation areas, I saw a fisherman wade into the snow-crusted banks to start a day of fly-fishing, as a great blue heron stood on the shore and ducks waddled in the slushy gravel. I realized the work we’re doing is making a difference. We are achieving our mission at the Washington State Department of Ecology, and leaving the world a better place for our children’s grandchildren. Our day-to-day achievements might seem small or even mundane. But when you take a moment to observe the ever-flowing Yakima River and ponder its biodiversity, the snowpack, the recreation, the environment, the water supply, the sustenance, and the livelihoods it supports — it is overwhelming. Putting an exclamation point on the day, a bald eagle soared over a herd of cattle as I drove past the Eaton Ranch. It would not be possible without the hard work each and every one of you bring to the table as we implement the Yakima Basin Integrated Plan together. This is a win for Washington, the Yakima Valley and Ecology. I’m grateful to be surrounded by folks who are passionate about what we do. Reflect. Celebrate. Breathe. Soak it all in. Way to go, team!